Why is a Service Agreement relevant? Many businesses offer services and engage the services of others. For example, a small business may seek assistance from a consultant, or a technician may be engaged to repair computers. In everyday business activities, people are constantly engaging the services of others, whether it be information technology, engineering, accounting, or legal. A service agreement is an agreement that defines the legal rights and obligations between the service provider and the client. The rights and obligations should be clear so that parties understand their rights and obligations. If it is not clear, disputes may arise to the services provided, how the services were delivered, or the payment for services. For example, if important terms are not outlined, parties may dispute to what should have been intended. At times, these disputes may end up in Court, and the Court may imply terms. Disappointment may ensue regarding the decision of the Court because the decision may not reflect what the parties intended when entering into the agreement in the first place! should be examined and read carefully. 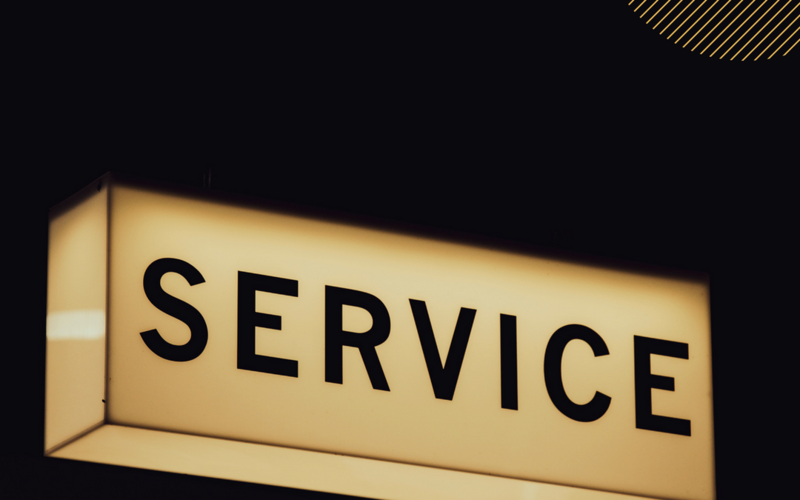 The scope of services offered should be defined in a service agreement. This benefits the service provider, and your clients. Disagreement in service agreements may stem from a client’s dissatisfaction with services provided. This dispute may be avoided by you referring to the service agreement and the clearly outlined terms of engagement. For example, the terms of engagement may be to repair only one computer. However, a client may have unreasonably expected five computers to be repaired. By referring to the service agreement, the dispute may be settled amicably and efficiently. However, referring to the agreement only will not prevent adverse legal consequences arising if there has been misrepresentation, misleading or deceptive conduct about the services. When services are provided, there is often consideration for that service. This can take the form of monetary payments. Ensure that payment terms are sufficiently outlined. This may include date(s) of payment, any deposits (if applicable) that should be made and the method of payment delivery. Defining how payment should be met, when payment should take place and the amount of each payment assists in managing cash flow and provides certainty for the day-to-day business needs. provide confidentiality when resolving the disputes. By engaging in appropriate dispute resolution processes, you and your client may arrive at an amicable outcome, at lower cost, and preserve the ongoing commercial relationship. If the service provider is in Melbourne, and your customer is in Perth, what laws apply if a dispute arises? In particular, if a dispute is to be referred to a Court, then which Court is in the best position to hear the dispute? Imagine paying significant legal fees about dispute on jurisdiction. For example, you and your client may spend months arguing whether the Court in Perth or Melbourne is better placed to hear the matter. And only after that jurisdictional dispute is settled that the substantive dispute about the services provided is considered by the Court. A well-drafted jurisdiction clause addresses the issues outlined and will prevent that costly dispute from arising. Specifying the applicable laws and referral to which relevant Courts early in your agreement prevents the mentioned disputes happening at first instance. When a service agreement can be terminated may sometimes not be clear. For example, your client may attempt to terminate the agreement for a minor breach to your surprise. A ‘default clause’ can prevent this element of surprise. It places both parties on alert, that if a breach is not remedied, that the other party may terminate the agreement. At the same time, an opportunity is provided for you and your client to work towards a remedy for the proposed breach. This prevents termination from immediately happening and encourages both parties to engage in appropriate dispute resolution processes. As a business, you should know your service agreements in place. This ensures that when negotiating with your clients, you understand your obligations and liabilities, expectations between you and your client, and the dispute resolution processes available if disputes do arise. F & G Sykes (Wessex) Ltd v Fine Fare Ltd  1 Lloyd’s Rep 53,57. Competition and Consumer Act 2010 (Cth) sch 2 (‘Australian Consumer Law’) s 18. See our article, ‘Victorian Supreme Court’s May 2018 Decision on Misleading or Deceptive Ads between Telstra and Optus’ for a look into Misleading or Deceptive conduct in the context of advertisements. See generally, Law Access NSW, What is mediation? (31 October 2016) Law Access <https://www.lawaccess.nsw.gov.au/Pages/representing/lawassist_mediation/lawassist_whatismediation_wysk.aspx>. See generally, Business Queensland, Negotiation Successfully (6 August 2018), Business Queensland <https://www.business.qld.gov.au/running-business/marketing-sales/managing-relationships/negotiating>. See generally, Australian Disputes Centre, Expert Appraisal, Australian Disputes Centre <https://www.disputescentre.com.au/expert-appraisal/>. See generally, Australian Disputes Centre, Arbitration, Australian Disputes Centre <https://www.disputescentre.com.au/adjudication/>.